Myth #2 – It Costs too Much! Why in the world would independents choose Self Service Check Out? In our last article we covered the myth – “My Customers Just Won’t Use It” We hope that you enjoyed it. If you missed it, just click on the link above. If there is a valid reason, this reason has merit as SSCO comes with a hefty price tag; not only is there the cost to implement, there is also the maintenance and support costs to consider. Yet research shows, and we know that SSCO adoption is growing, and it’s not because retailers feel they have to just because competitors have it. Today we can look to quantified vetted data that shows SSCO can and very often does, pay for itself in 12 to 18 months. How? Let’s take a look. Research shows that Cashier attended transactions of one to ten items are marginally profitable at best and costing you money at worst. Why is this? It’s because of the cashier time to tender the transaction. 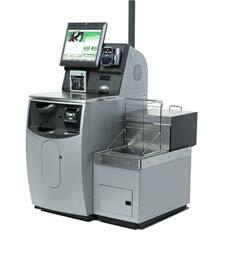 Did you know SSCO is ideally suited for transactions of one to ten items. Shoppers instinctively know when to use as cashier attended lane verses Self Service Check Out. Larger basket sizes typically migrate to cashier attended lanes. Studies show that the ideal SSCO transaction is one to ten items. Although SSCO can handle much larger transactions; if a retailer is seeing a growing trend toward larger and larger SSCO transactions, it may indicate a need to increase cashier hours. With an SSCO option, Independent Retailers find that they can open their store with SSCO, delay bringing on the second and subsequent cashiers, Reduce the number of cashiers earlier and close the store with SSCO. All of this while increasing throughput and customer service. Unexpected bursts of shoppers checking out are more often easily handled with SSCO dramatically reducing the need to call relief cashiers away from their regularly scheduled duties. So now the front-end runs more independently and your POS Coordinator, Stockers, Managers and Department Heads get their jobs done faster and more efficiently. Not only are labor cost increasing, but with a robust economy, attracting and retaining good employees is becoming more and more difficult. SSCO robots rarely complain or call in sick, they’re always ready to work and you never have to pay overtime. Reduced cashier hours, and higher level of customer service and perception. It doesn’t take long to think through what can be done when you open up four SSCO lanes with one cashier. Most shoppers welcome the opportunity for Self Service; even if it isn’t faster, it sure feels faster. By implementing SSCO you will find that you’ve not detracted from your shopper’s experience; you’re continuing to improve it. Did you know we’re seeing at least one Independent Supermarket roll out SSCO per month, and it’s happening right here in the Pacific Northwest. In the next article we’ll look at available space at your front-end. We’re committed to providing the finest equipment, professional service, and technical support at affordable prices. When you need us, we’re there. Want to know more? Call us now at 1-800-544-8408 and we will show you why we are the Intelligent Choice! December: It Costs Too Much!